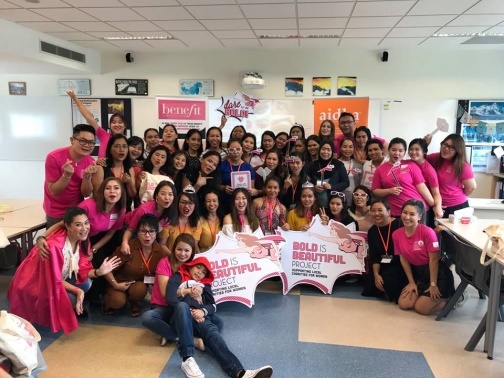 Kicking off the “Bold is Beautiful” campaign with a make-up grooming session! We have an amazing entrepreneurial panel ready to share tips ranging from beauty to business, giving our participants the best of both worlds! Aidha students unleashed their creativity and told us what it meant to be 100%!